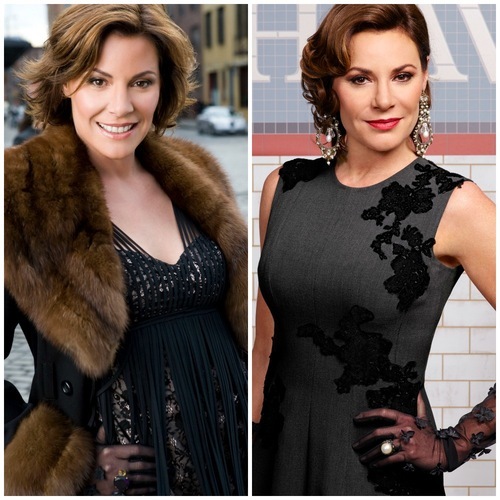 See What the Stars of 'RHONY' Look Like Today! ‘The Real Housewives of New York City’ Cast — See the Stars Then and Now! Since its premiere in 2008, The Real Housewives of New York City has been giving viewers a look at the glamorous life of a Manhattan socialite. From weekends in the Hamptons to front row at fashion shows, the ladies of the Bravo franchise know how to have a good time in the city that never sleeps. Season 9 will not be any different if the trailer is any indication. From Bethenny Frankel and Sonja Morgan making up (and making out) to Jill Zarin making a mini-comeback, the Big Apple crew is guaranteed to bring in the ratings. Fans can also expect a new "housewife" — socialite Tinsley Mortimer! "I invited her to live with me… she's an old friend. She's great," Sonja told Life & Style exclusively at the premiere party at Attic Rooftop in NYC. "I'm 10 years older than her so we have this sister-like relationship like I do with Ramona [Singer]. We have a trust-level, so we give s–t to each other all day long." While most of the women are not housewives, the title is not necessary when you're building a cocktail empire (we're looking at you Bethenny) — or just enjoying a glass of Pinot Grigio a la Ramona. Plus, with a countess and a princess in the cast, they can soon change the name to the Royal Housewives of New York City! For a look at RHONY stars past and present today, click through the gallery below!